In 1930, Congress established the Federal Bureau of Prisons by passing Pub. L. No. 71-218, 46 Stat. 325 (1930). While there had been federal prisons prior to the passage of this act, the act allowed the federal government to organize and manage its prison system in a way that was not possible prior to the legislation. It established the federal prison system, federal jails, authorized the United States Attorney General to contract for inmate care, and established that the newly created position of the Director of the Bureau of Prisons would replace the then-existing position of Superintendent of Prisons. The federal prison system has jurisdiction over federal crimes. Many crimes are considered both federal and state offenses, but will be tried in the federal system if: the crime crossed state lines or impacted interstate commerce; the crime occurred on a federal land like a national park, military base, or the District of Columbia; the crime occurred on a ship flying the American flag; the crime occurred in a foreign country but impacted the United States. This designation seems pretty narrow, but almost any gang or drug activity has a link to interstate commerce and might be tried as a federal offense. When the Bureau of Prisons was established, there were 11 Federal Prisons. However, it entered into a period of immediate growth. By the end of 1930, it had grown from 11 prison to 14 facilities. By 1940, it had grown to 24 facilities. The number of inmates almost doubled in that same time period, increasing from around 13,000 inmates to 24,360 inmates. This immediate growth was one of the reasons that the federal government recognized a need for a Bureau of Prisons. However, the federal prison population remained relatively stagnant from the 1940s to the beginning of the 1980s. During that time period, the number of facilities continued to increase, not because of growth in prison population, but because of changes the federal approach to criminal justice. Instead of focusing on larger facilities, the Bureau of Prisons focused on placing a smaller number of inmates into each facility and placing inmates into facilities that could best meet their security needs as well as any other inmate needs. Therefore, inmates with similar health needs, similar criminal backgrounds, or similar escape risks would be placed in the same facility. In the early 1980s, the Federal Bureau of Prisons experienced the same challenges that plagued many state prisons systems in the United States. The United States adopted a very strict anti-drug policy, which resulted in greatly increased sentences for drug offenders. This was codified in the Sentencing Reform Act of 1984, and subsequent legislative reforms reaffirmed this commitment to longer sentences for certain offenses, reduced judicial discretion, and a strict anti-drug approach in the criminal justice system. As a result, not only were more offenders being sentenced, but the sentences were longer, parole eligibility changed, and offender ability to earn early release through things like good time were reduced. The result was that the federal inmate population doubled in the 1980s and then again in the 1990s. While the population increase has slowed since 2000, the federal prison population continues to grow. Currently the federal prison population is approximately 193,461 inmates. The Bureau of Prisons has continued to expand to meet population needs. Currently, 156,778 inmates are confined in BOP-operated facilities; 22,164 are confined in privately operated facilities; and 13,967 are confined in other types of facilities, such as state or county jail facilities. BOP facilities are divided by security designation: minimum, low, medium, high, complex, and administrative. Complex facilities have multiple security levels within the same facility. Administrative facilities are responsible for inmates with special security levels, including pre-trial detainees, inmates with serious medical issues, and high-risk inmates. The federal inmate population, like most state inmate populations, is disproportionately composed of minority inmates and of males. 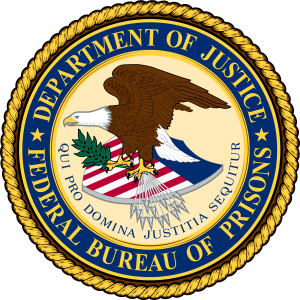 Up-to-date federal prison statistics can be found at the Statistics page of the Federal Bureau of Prisons website, but most of the prisoners are males in their mid-to-late 30s, non-Hispanic, and white. However, both the Hispanic and black populations of the prison systems are disproportionate when compared to percentages in society as a whole. Conduct an inmate search which includes resources and direct links from the Federal Bureau of Prisons. You can also search arrest records to see if any results are available.